High-quality vehicles are complex machines that deserve the right quality parts. 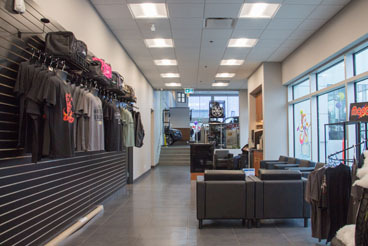 At Abbotsford Chrysler, we take pride in our parts department, who sources our auto parts and accessories directly from OEMs like Chrysler, Jeep, Dodge, and Ram. We guarantee that you’ll be happy you came to us to find the parts you’re looking for. All of our auto parts come directly from OEMs (Original Equipment Manufacturers) so we’re able to cut out the middle man to ensure that we are delivering the best prices, and highest quality parts to you. Better yet, our OEM parts are machined to perfectly fit your specific vehicle – not generic parts built simply to “fit well enough” for a multitude of makes and models. So whether you’re searching for brake pads, spark plugs, windshield wipers, or something larger like replacement transmissions or transfer cases, we’re here to help. By using OEM brand parts we’re able to offer your vehicle greater durability, which will provide significant long-term benefits to your car’s lifetime. It also ensures that, should you decide to sell, you will see the greatest return on investment at the time of the sale. Using OEM parts is more important than just seeing a return on investment from the sale of a car. It’s about safety and making sure that you can rely on your car when you need it most. After market, or even salvaged parts, can cause damage to wiring or air bag deployment, which can jeopardize more than just the warranty of a vehicle. While OEM parts are made from the same stamping dies used in the original production of the vehicle, and the manufacturer then performs impact tests to ensure that every part is an absolutely perfect fit. If the part doesn’t meet or exceed vehicle safety standards then it is not used. OEM parts are stronger, more reliable, and made specifically for your car. They’re also the only collision repair parts covered by a standard manufacturer warranty – generic after market and salvage parts are not. Come by our parts department and we’ll help you determine the precise factory parts that you need for your specific vehicle. We even offer authentic OEM parts and accessories for current and retired brand vehicles, and other brands. Our parts and service experts love chatting with customers and would be happy to discuss the best way to install your car parts. Already know what parts your vehicle needs? Then fill out our simple form to order directly and we’ll send you a confirmation to let you know when your OEM part arrives at our store. 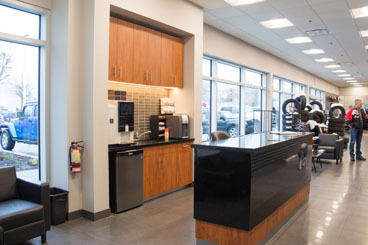 If you don’t know specifically what you need, give us a call or bring your car in to our service center and our talented staff of certified mechanics will guide you to the perfect part. From locating or ordering a specific part, to providing all of the necessary installation instructions for personal installation, our trained staff is here for you. 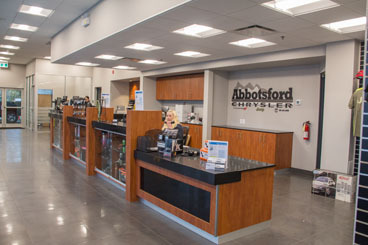 At Abbotsford Chrysler we even offer the opportunity to bring the parts and vehicle back if a repair becomes too complicated or requires specific tools and experience. 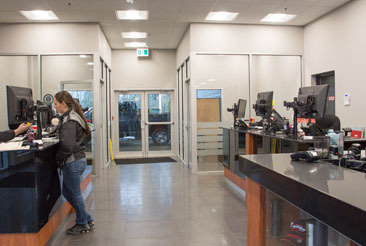 To ensure the quickest turnaround time on products ordered, Abbotsford Chrysler stocks thousands of key components to any car so that you can find what you need when you need it most. Some of the common parts kept on hand include: windshield wiper blades, air filters, car batteries, tires, spark plugs, belts, headlight and taillight bulbs, water pump, fuel pump, fuses, engine sensors, shocks, and even struts. We offer a convenient online order form for online users because we know that when the time comes, you’re not looking for a hassle – you’re looking for a solution. That’s why it’s as simple as filling out one of our online order forms which provides both a quote on installation fees, as well as an easy way to help plan out car repair, custom jobs, or to stay within the budget. Abbotsford Chrysler is also happy to say that we will price match on tires, and other items. Whether it’s for your Chrysler, Jeep, Dodge, or Ram, be sure to check our specials! We offer only the highest available quality for all OEM auto parts, so make sure that you’re getting the absolute best price deals on auto parts from Abbotsford Chrysler.